Vocabulary- how often does it seem like one more thing that you should fit more of into your language arts curriculum? But where’s the time? The main problem with vocabulary is that there’s so much of it! There is the vocabulary that you want to pull from novels and stories that you read with the whole class. 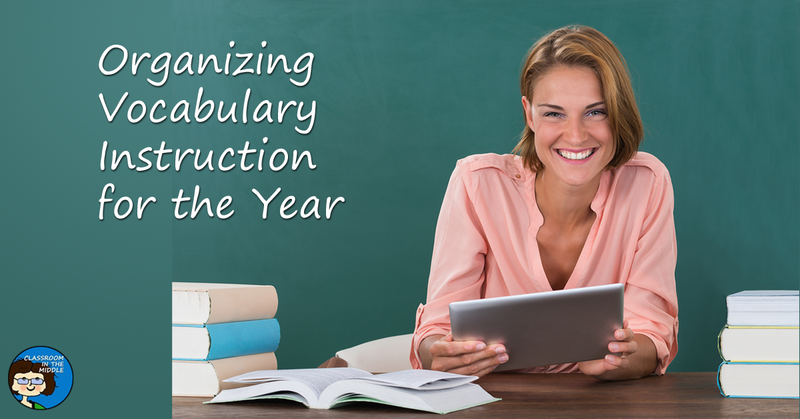 There’s language arts’ own content vocabulary (and there’s lots of that, too), and there are the vocabulary skills that middle grade kids still need to develop as they become better readers such as recognizing affixes and roots, understanding shades of meaning. Some teachers follow a very organized approach, especially with vocabulary topics such as prefixes, suffixes, and roots. Others prefer to work vocabulary instruction in as opportunities present themselves through class readings. Many, I think, use a combination of both. There’s so much to choose from in any one novel, but for kids to enjoy whole-class novels, you don’t want to do too much. Still, I think it would be a shame not to do a few vocabulary lessons with all that material right there! I especially like to use vocabulary words from novels for lessons on context clues since it fits right in with comprehension of the story. In fact, context clues questions are one thing that I include in every one of my novel studies now. 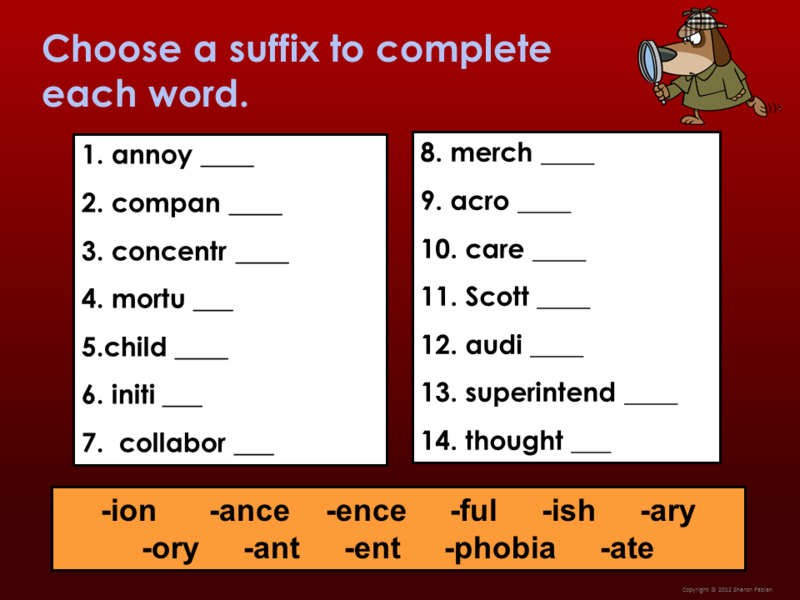 Sometimes I choose a few of the more difficult words that may be new to students; sometimes I choose simpler words that have a number of completely different meanings. For example, for the novel, Schooled by Gordon Korman, I choose the words commune and asset because I thought that even though kids might have heard the words before they probably wouldn’t be clear on their meanings. Then I also chose the simple word tick. It has several unrelated meanings: a bug, the sound a clock makes, and a check mark on a paper. It can also be used as a noun and verb. 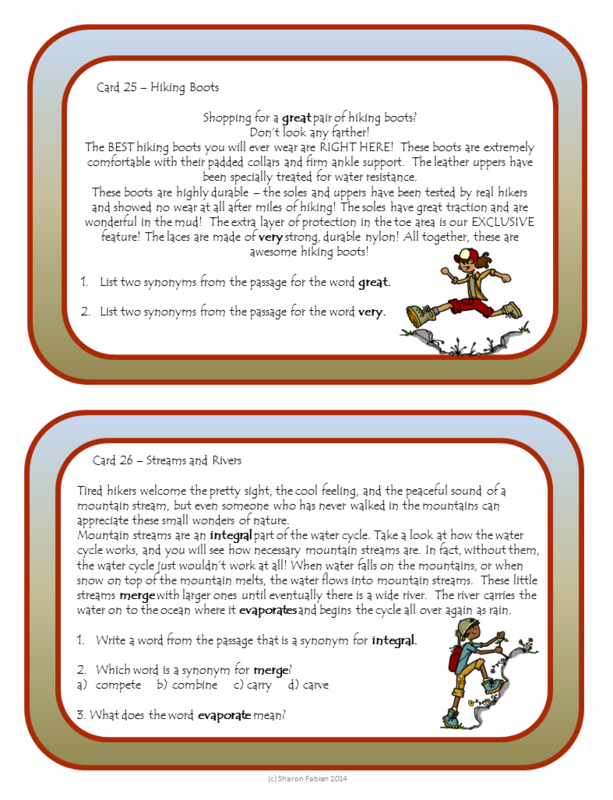 Kids would need to refer to it’s specific page in the story to find the meaning that fits. Language arts has so much of its own content vocabulary that to me, a big list seemed like a useful item here, so that’s what I made with my Literary Terms resource. 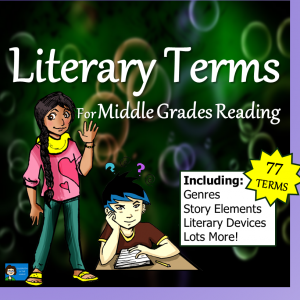 It’s a really big PowerPoint, with definitions and illustrations or examples for seventy-seven language arts terms, a resource to use a little at a time throughout the school year. You can see the list of what’s included, including the types of terms in the list, at the link above if you are interested in more details. Obviously some of these terms will fit with specific units of study, for example the story elements would probably fit with a short story or novel at the beginning of the year. Genres might fit in fine later on, after you’ve read a few different types of writings. 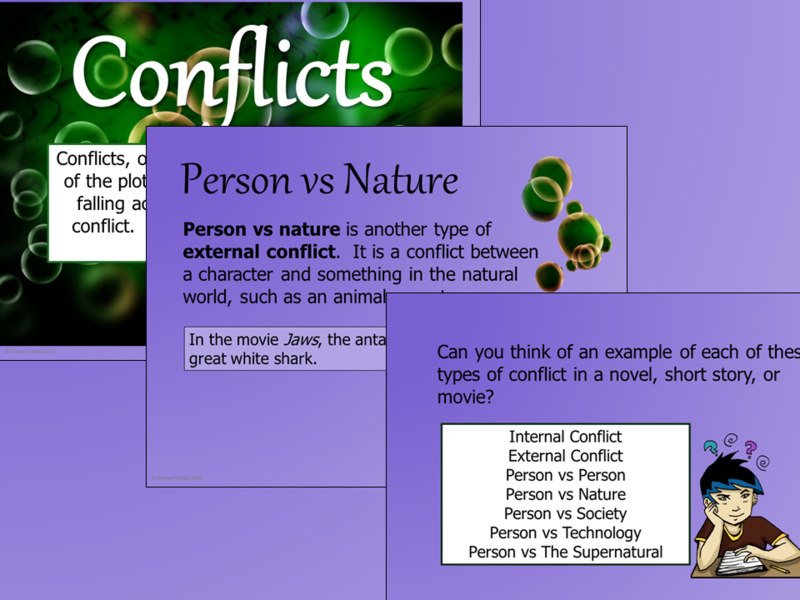 And there are more specific terms related to types of conflicts, text structures, and points of view that you might plan to incorporate bit by bit as the year rolls along. Then there are more terms relating to vocabulary and writing that you can fit in with those lessons as you cover the topics. No surprise – there’s lots here, too. Sometimes I think English teachers could make a whole year’s curriculum of just vocabulary study and never run out of things to teach! 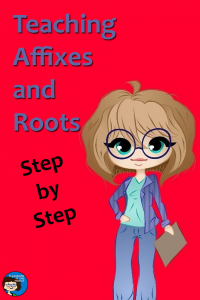 By the middle grades, kids have already been exposed to prefixes, suffixes, and roots, but they still need to add many more of their to their vocabulary. And they need to make more use of them in their own writing. I think every year I had to remind at least a few kids that synonyms meant the same thing and antonyms meant the opposite. Oh, they knew that one was the same and one was opposite, but which was which? It seems to be one of those little details that goes away over the summer. As a logical step up from synonyms and antonyms, kids can start to appreciate the fact that there are words with a whole range of meanings. One fun activity is to have students rank a group of words along a continuum for most negative to most positive. One example is: riot, uprising, protest, demonstration, rally. Kids may have differing opinions about just where each word goes on the continuum, but that discussion can be part of the lesson too. After all, even though words have some connotations that are generally accepted, they also may have specific connotations that vary from reader to reader. Using good descriptive language that appeals to the five senses fits naturally into writing instruction, and some kids are ready to try writing with figurative language, too. And a poetry unit, or even a novel unit, is another natural fit for teaching this creative use of vocabulary. The better kids get at using context clues, they better they get at comprehending what they read. Making use of context clues really is a foundation skill for reading, and it’s one that kids can always improve on. Specific exercises, such as practice with context clues task cards, as well as asking questions about readings that demand the use of context clues give students lots of chances to use and improve their skills. 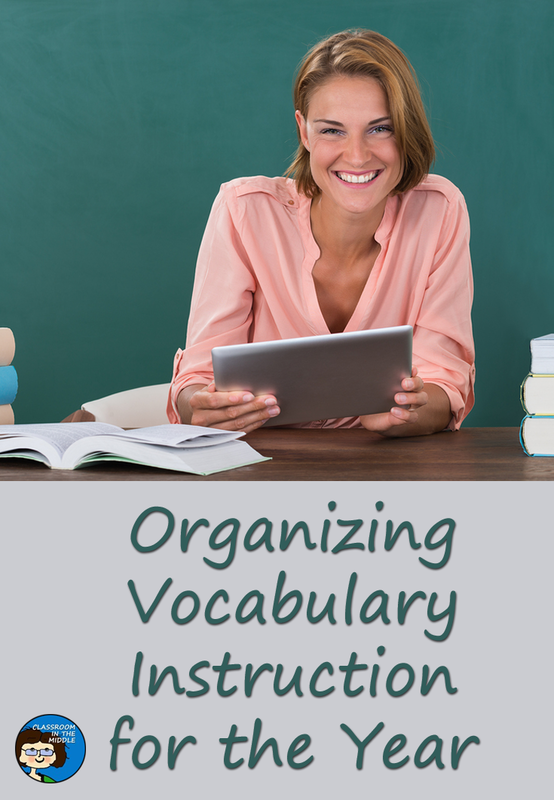 Like I said at the beginning – there are so many options regarding what to teach and how to organize it all! But that’s part of what makes language arts fun. I guess most English teachers wouldn’t have it any other way! Love how you broke vocabulary instruction into manageable chunks. It can be overwhelming at first, but with this way it seems easier to get through each of the different types. Thank you! I LOVE this post! When you show this much attention to the nuances of language it’s contagious!